Bold Enduro Helveti’Cup – Bold Cycles Ltd. 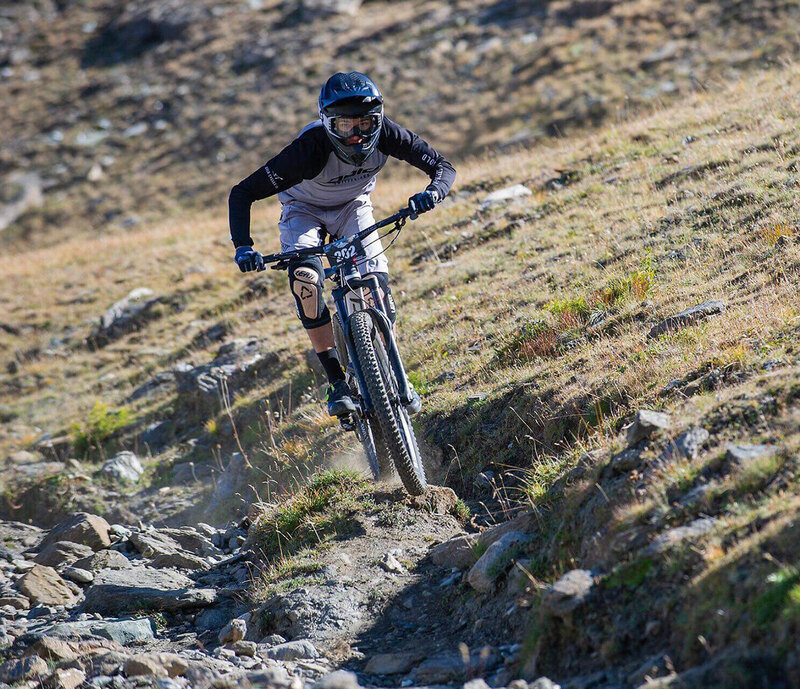 The national Swiss Enduro Race Series Enduro Helveti’Cup consists of six races in total and is already in its fifth iteration. 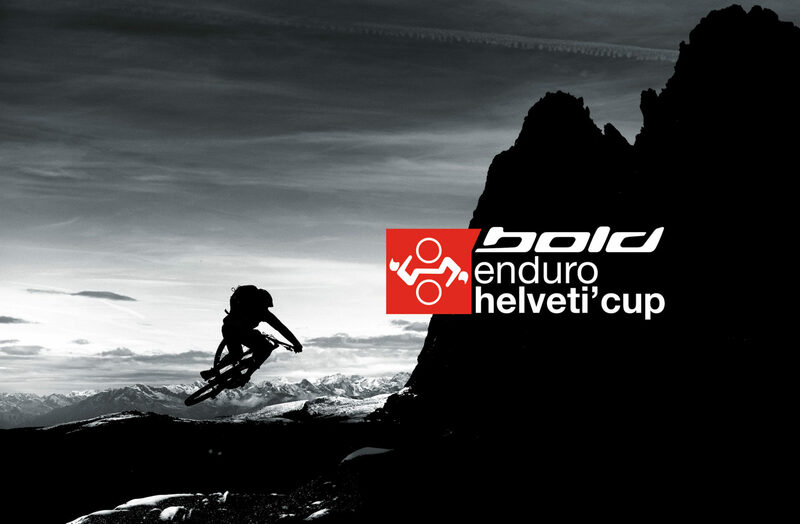 The organisers of the Enduro Helveti’Cup and Bold Cycles are pleased to announce their long-term cooperation. 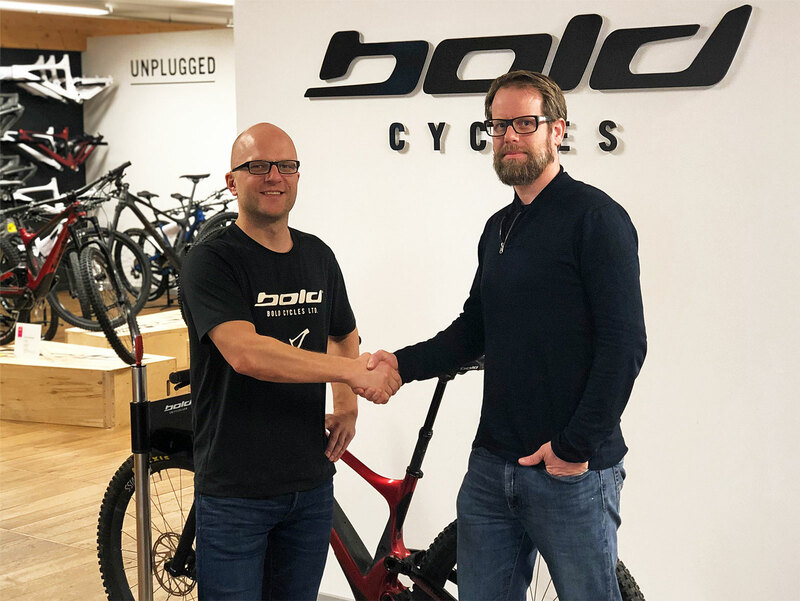 Bold Cycles wants to aid the development of the enduro race sport and obligates its self as the title sponsor for the next three years. The cooperation of Bold Cycles from Biel-Bienne and the Helveti’Cup team formed entirely naturally based on their shared philosophy: “Since the first holding of the race the aim of the race series has been to provide the racers with the best local trails. The stages are both technically and physically demanding for the riders. Our aim has always been to give riders the most fun but also the most challenging experience with their friends. Riders should have a superb experience both on and off the bike. With a good partner at our side we can take the events which are mostly organised by volunteers to a whole new level. 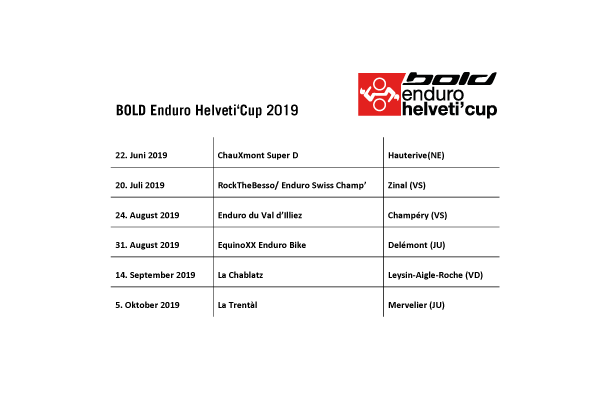 Bold as a Swiss manufacturer simply fits this role perfectly”, so Frédéric Blaser, president of Helveti’Cup. The partners will be expanding the successful and tried and tested race formats from previous years: Much sought-after events with both excellent and difficult trails and a friendly ambience will be held. The mix of a true race feeling with trails at a high level and a casual experience amongst friends will be central in 2019 as in the previous iterations of the race. For the race programme of the Helveti’Cup 2019 there will be specific changes and innovations. The greatest change is the final showdown for the Swiss champions jersey which will take place in Zinal (Valais) on the 13th of July. For the overall standings the allocation of points will remain unchanged. Only the best results will count. This system has found great approval among riders in previous years. 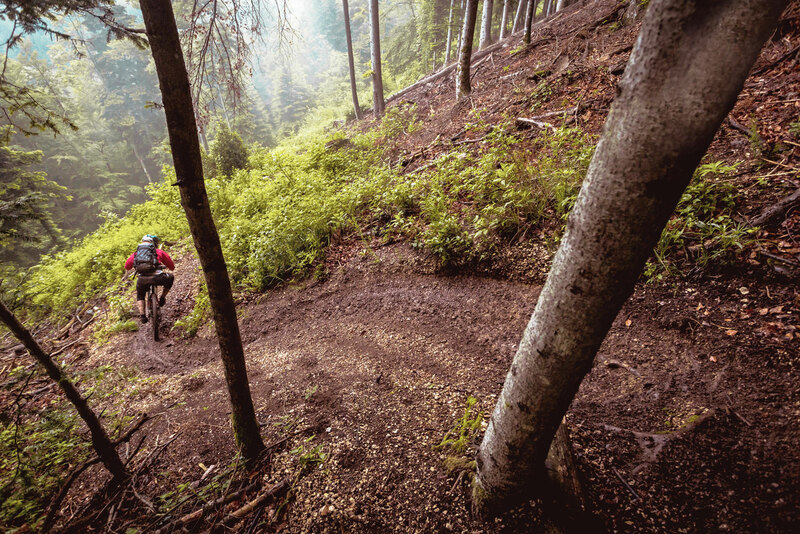 “Enduro racing and specifically the Helveti’Cup is what mountain biking is and always has been about. The challenge of demanding trails and the great sense of spending the day with a bunch of great buddies riding new spots! 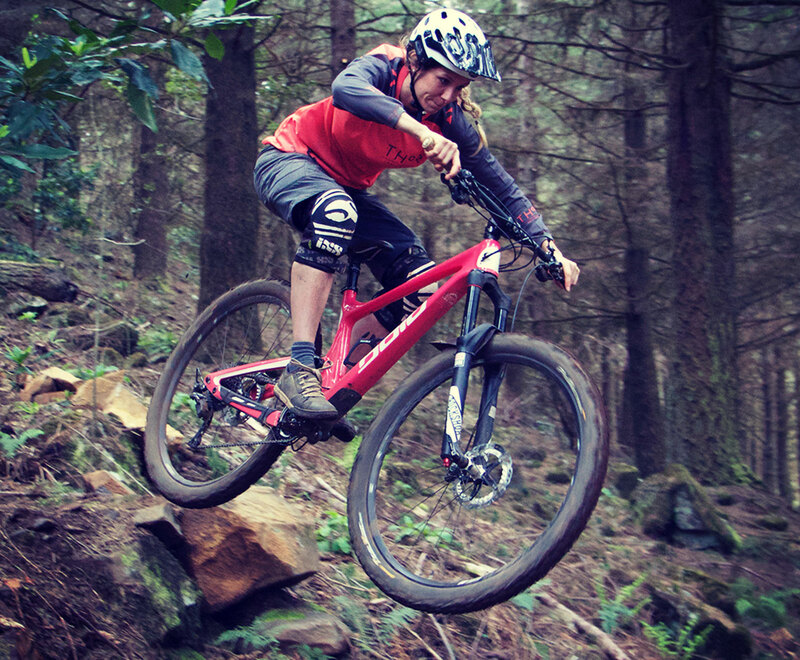 As a bike manufacturer we want to support the sport and play our part in its evolution. The Helveti’Cup team are performing outstanding work for our sport. We believe it is worthwhile supporting this with our commitment. We are looking forward to our collaboration with Helveti´Cup”, so Vincenz Droux, founder of Bold Cycles. We are looking forward to the Bold Enduro Helveti’Cup 2019! It begins with the ChauXmont Super D in Hauterive (Neuchâtel) on the 22nd of June. This will already demand a high level of riding from each and every racer, especially with the chase in the last stage. The Swiss champion will be nominated on July 13th in Zinal (Valais) at the RockTheBesso. Here we are looking forward to exciting battles for the title of swiss national champion. The next race has been scheduled for August 24th in the Valais. 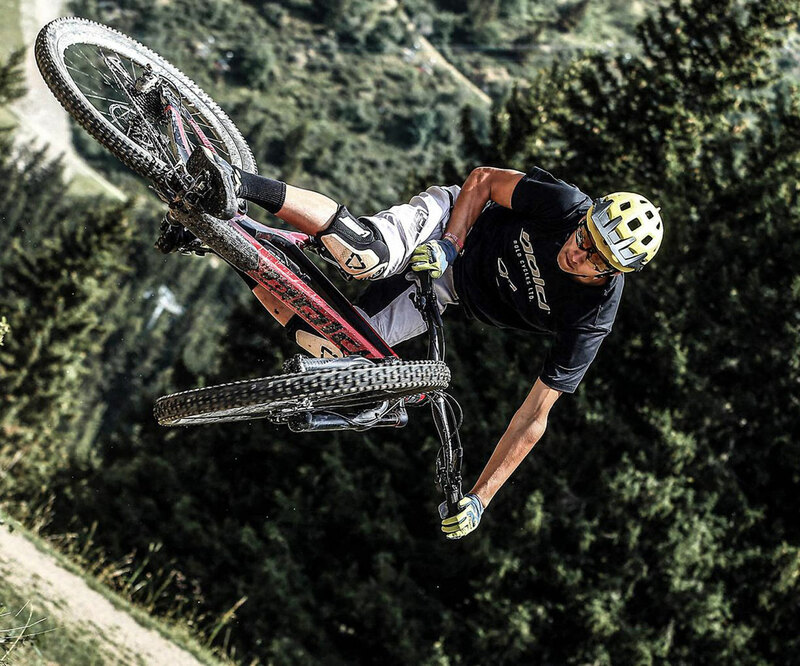 The Enduro du Val d’Illiez takes place at the Bike & Sound Festival. At the l’EquinoXX Enduro Bike on the 31st of August the challenges of the Jura mountains around Delémont (Jura) await the racers. The race is already in its ninth iteration! Back in alpine region the Le Chablais race will take place on September 14th. The La Trentàl race completes the BOLD Enduro Helveti’Cup 2019 – a good opportunity also to let the race season pass in review. With the announcement of the overall champion of the season we will conclude the BOLD Enduro Helveti’Cup 2019. The registration to the races will be opened in late March 2019 in the form of a small event at Bold’s headquarters in Biel-Bienne. The event takes place on the 29th and 30th. First registrations will be taken on Friday the 29th of March. The event kicks off on Friday at 18:00. With a bit of skill and luck you could win one of five starting places that weekend. The riders will be challenged for the first time.